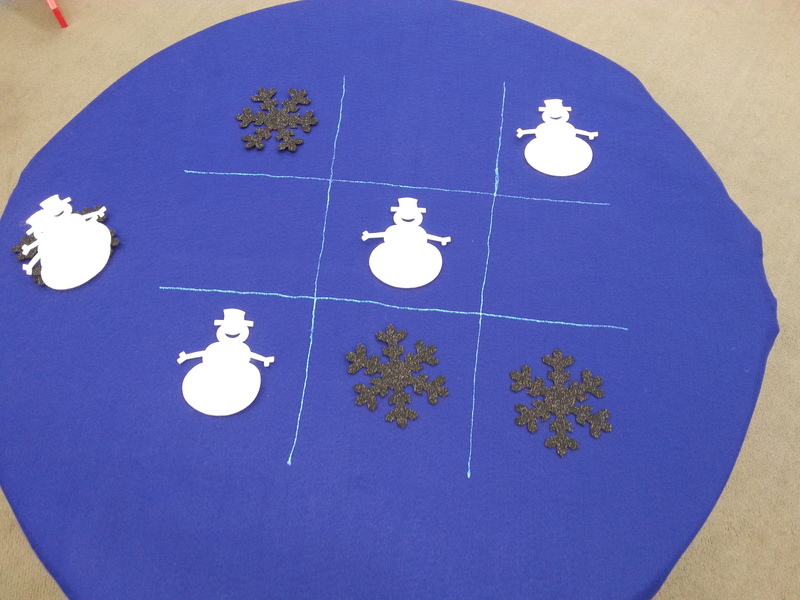 For my winter felt table I decided to create a Tic Tac Toe game. I used fabric paint to make the lines in the board. I cut white snowmen and black snowflakes with my die cut machine. Kids of all ages have been having fun with this! My local preschool gave me the idea when they had Pumpkins vs. Ghosts near Halloween. You can really do this anytime of year with a seasonal theme. Tic Tac Toe teaches children problem-solving and coping skills. Once children learn that the game should end in a draw, they’ve mastered it. For older children you can use the Frog on a Log cards and have children play Animals vs. Objects. For more Felt Table Ideas, click here to see how you can add this passive program to your children’s space. We have had a felt table at our library for about 3 months – the kiddos love it! With limited (abilities on my part) funds we have tangram sets in several colors. Add a few circles and the kids have a blast. Thank you for the inspiration! Anagram is a great idea! Thanks for sharing. 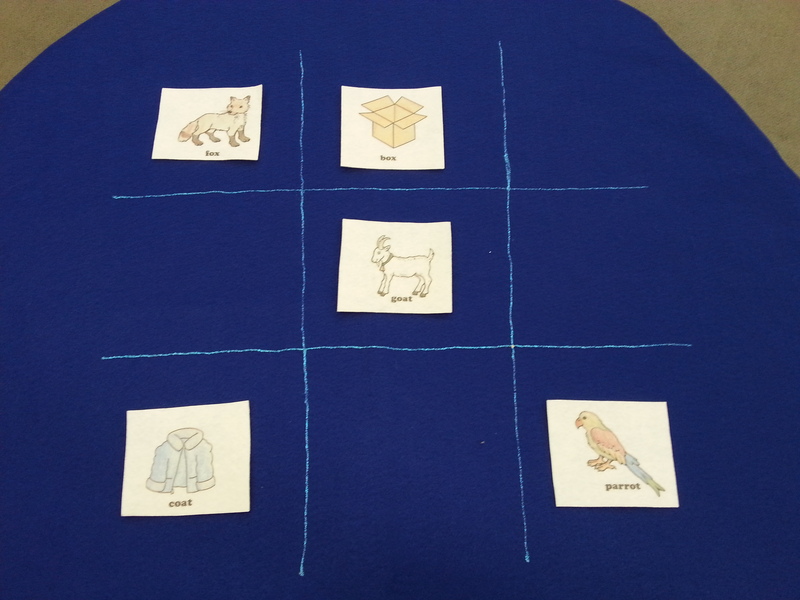 This entry was posted on December 16, 2015 by mrsshaia in Felt Table, Passive Programming and tagged Felt table, Passive programming.